Up until the current MARDUKITE efforts and work of Joshua Free, few of the publicly visible “New Age” writers and occult spokes-people really had much to say concerning the SIMON NECRONOMICON – many of them wishing it would just go away, or at the very least, that people would stop bothering them about it. Needless to say, in the post-Lovecraftian world it was, up until the MARDUKITE efforts, the only of the ‘possible versions’ available to the public that was of ‘true’ and ‘authentic’ merit in regards to a historical tradition. Many people criticized the SIMON NECRONOMICON for not being Lovecraftian enough – which was interesting, since the same people also said that the book had been invented by Lovecraft. NEW FIFTH ANNIVERSARY 2ND EDITION OF LIBER-555! This current discourse (Liber 555) is an expert commentary on the Simon Necronomicon as it appears – meaning a bastardized tradition emerging from the catacombs of ancient “Mardukite” Babylon. What we do not see evident, as we should expect (and clearly what threw many people off the track) is the lack of Lovecraftian themes in the Simon Necronomicon. Any mention or similarity within the text of the Simon work as compared to the ‘stories’ of H.P. Lovecraft is most likely the ‘creation’ of the modern editors in order to market their Mesopotamian Magic as the Necronomicon. In these types of post-Christian era accounts, such as we see with the Medieval and Dark Age era grimoires of the period, the magick and traditions are reflective to a ‘polarity’ that does not actually exist. For example, the entire idea behind ‘devil worship’ and ‘satanism’ is entirely dependent on the existence of these beings as they are generally understood – something which only came about as a result of the Judeo-Christian level of consciousness that came to occupy the masses. Prior to this ‘introduction’ of the ‘devil’ by Christian standards it would have been completely impossible to have proper ‘devil worship’ or satanism. The entire mythology that people are most likely to know regarding these matters is Hebrew and Christian in origin, making suggestion toward an understanding of the world based on a moral or ethical dualism that is not at all present in the traditions and writings of the more antiquated ancient world. …with this followed the widespread use of medieval grimoires – many of them somehow involved with figures like MacGregor Mathers and Aleister Crowley. Organizations relating to these individuals, such as the GD (Golden Dawn), OTO (Ordo Templi Orientis) and the lesser known AA (Argentium Astrum) begin to influence mystical practices and underground traditions among the multitudes on the surface world. “El Club Dumas” was released in Spain in 1993. The American English-speaking audience would have to wait three years to find “The Club Dumas” on their shelves. The literary version by Arturo Perez-Reverte became doomed to be lost amidst the mysteries of Agatha Christie and Sue Grafton and did not receive the same pop-culture attention as its motion picture under a different title. NINE GATES OF THE KINGDOM OF SHAODWS. From its Spanish edition we deduce the title “Nine Doors to the Kingdom of Darkness,” though the American language version prefers “Gates” to “portals” – and thus too, the “Shadows” to the “Darkness.” American audiences are also more receptive to video media then literary and thus was probably the inclination Roman Polanski carried with him in filming “The Ninth Gate” with Johnny Depp, released in 1999. Depp’s performance is astounding as always and the woodcarved engravings that are so paramount to the film are taken directly from the illustrations found in Reverte’s novel. Assuming the lore of the Nine Gates, let us say that the work is based on yet too another book – furthering our psyche down the literary rabbit hole. The DELOMELANICON (which is unarguably another vision of the Necronomicon Cycle) is a book reported to have been written by the “Devil himself” as a guide to “his followers.” The work, said to have once been in the possession of King Solomon, reaches the realm of Medieval Sorcery in 1666 by Aristide Torchia, who publishes his version of the “Devil’s Notebook” as “De Umbrarum Regni Novem Portis.” Both Torchia and all but three copies of this work are burned by the Church. The title, “Delomelanicon,” the current editor translates to mean “Book of Summoning the Darkness” (very similar to the coveted but equally fantasy-based witches Book of Shadows) although some Chamberlains have preferred the translation “Invocation of Darkness” [as given in the Soto translation to English]. If we lend a thought to this for a moment, leaving the trappings of semantic vocabulary and verification of medieval sorcerer’s grimoires aside – consider a book then that has been given to a class of followers of an entity contrary to the accepted “God On Duty” – considered a devil to one side and a savior to the other. 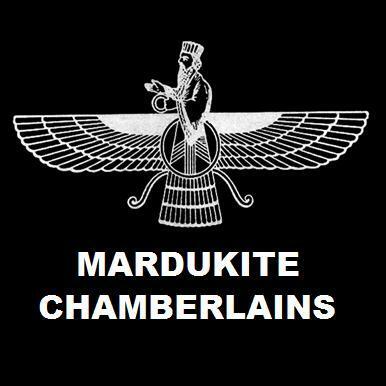 Immediately, when thinking of the politics that arose in ancient Mesopotamia, beings like MARDUK and ENKI are immediately conjured to mind – or some specific alien intelligence that might have reason for leading folks back through the Gates. And if they would indeed be hidden in folds “between” the Realm or Reality of Light we see everyday, then they would most certainly belong to the Shadows – and the spaces between spaces. The stories that fueled the public knowledge of the Necronomicon are highly influenced by the writings of H.P. Lovecraft. His own perceptions may or may not even be related in his work, for Lovecraft seemed to downplay the impact that his work should inspire and attributed all of his inspiration to dreams and night-mares. THE TRUTH ABOUT THE NECRONOMICON is revealed by Joshua Free in combination with the work and legacy of the Mardukite Research Organization (Mardukite Chamberlains) found in the Mardukite Archives. It was only after his death that his colleagues later dubbed the paradigm the “Cthulhu Mythos” and they continued to contribute to it. The tones and ideas reflective in the Lovecraftian paradigm are not only restricted to a book called the Necronomicon, but to an entirely new, alternative, counter-culture and ‘dark’ motif from which to view the world and life experience. According to Lovecraft’s work, the primordial world is essentially “chaos” and the ‘gods’ which do battle in times forgotten will later have an impact on the psyche and life of those today. In fact, the entire ‘occult’ basis for the Lovecraftian paradigm is a devotion and ‘worship’ of this prehistoric ‘gods’. The Great Old Ones being replaced by the Elder Gods becomes arbitrary when, following with Lovecraft’s perspective, there are those who secretly worship and feed these ‘evil’ gods throughout the ages in ‘cults’ – groups which seek to bring the Great Old Ones back into our time-space. This would effectively destroy the universe as we know it, returning it back to something reminiscent of the primordial ooze from which it has sprouted and devel-oped. This bleak and shadowy worldview is what drives the ‘horrific’ tales of not only Lovecraft’s work but anything that has been attached to it since, in oth-er literature, ‘rock bands’ and the like. From the Lovecraftian perspective, the Necronomicon is an evil book that worshipers of these ancient cults use to honor the Great Old Ones (or Ancient Ones) in spite of their complete distaste for the human race and the fact the inviting such forces and energetic currents back into the realm that we know would be devestat-ing for all humanity. Of course, the teen-angst punker anarchist mindset doesn’t care about such things. The only aspect that would matter to these kinds of people is the fact that our world could be thrown into a state of discordia – and for many, this is what takes priority. How any of these kinds of people can consider their left-handed and chaotic-evil pathways as any kind of true self-honest path to absolute enlightenment and the source is beyond me – though they will claim to be doing so; claiming that it somehow ‘suits’ them better and that everyone else is doing it wrong. Then they go back to their hedonism, narcissism, and pleasure seek-ing without any regard, always validating in their mind that they are “right” in their ways. WHAT IS REAL??? — the entire idea behind ‘devil worship‘ and ‘satanism‘ (or the entire ‘left-hand’ interpretation of reality, as a whole) is entirely dependent on the existence of these beings as they are generally understood – something which only came about as a result of the Judeo-Christian level of consciousness that came to occupy the masses. Prior to this ‘introduction’ of the ‘devil’ by Christian standards it would have been completely impossible to have proper ‘devil worship‘ or ‘satanism‘. The entire mythology that people are most likely to know regarding these matters is Hebrew and Christian in origin, making suggestion toward an understanding of the world based on a moral or ethical dualism that is not at all present in the traditions and writings of the more antiquated ancient world. make a direct ‘physical’ and ‘singular’ presence in the material ‘level’ of perception encountered everyday. Therefore, there was no confusion about the nature of the ‘divinity‘ held by ancient men in their encounters with the ‘ancient gods’. If the NECRONOMICON is ‘evil’, then it would be ‘evil’ in the same light as all ‘neo-pagan’ reconstructions including Celtic Druidism, Norse Shamanism and obviously any of the pantheons and cultural traditions being revived by Wiccans and members of other ‘sects’, ‘societies’ and ‘orders’ in the occult realm of society.